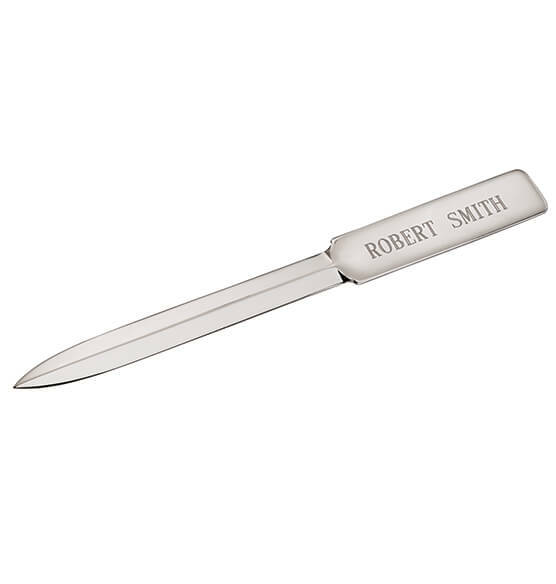 Personalized Letter Opener gleams in your choice of antique rose in electroplated pewter, 24k goldplate or silverplate over brass. We'll engrave a name on the handle! Measures 9" L. Specify name, up to 20 letters/spaces. Distinguished gift! 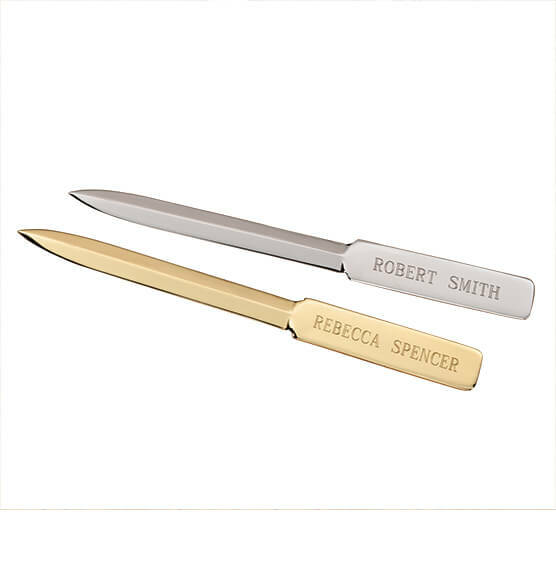 I got the gold plated letter opener as I gift for someone, when I opened the package that it came in I was really surprised that the letter opener was that big. 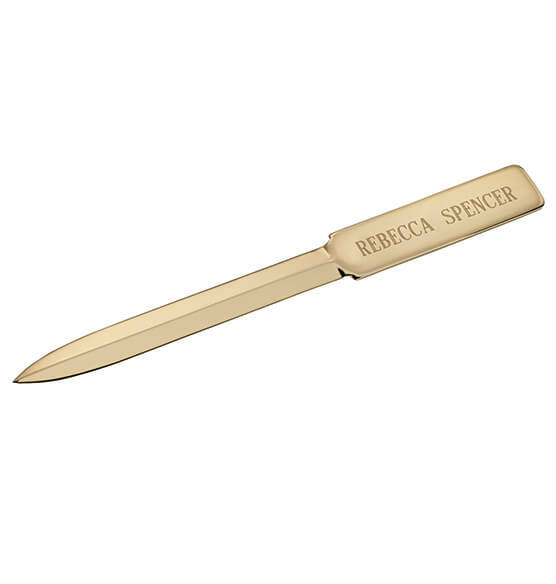 As soon as I can I'm gpomg to order some letter openers for my self from this company. Looks great, works great, A welcome addition to the desk. The letter opener I purchased is really heavy duty. I not only can open letters with it, but also boxes. I liked mine so much, I got one for my brother for x-mas. All in all I liked the construction of the piece, I was just disappointed in the engraving...it wasn't deep enough and you had to hold it up to a light to read it. Style easy to use and needs a case so kids don't go poking someone with it. I was planning to give this as a gift, but the finish wasn't complete on the blade. So, there was an empty dark spot on the blade.